The LA-duo presented their version of the Woodstock uniform. Vena Cava have always reinforced their ideas with their presentations complete with elaborate sets and static models where all the details of their work could be inspected up close. This time round though, with a show, it was even more important for them to make a statement. Cue a live performance from The Like who are gearing up to release their long awaited sophomore album. "I like that they make beautiful and sincere clothing. 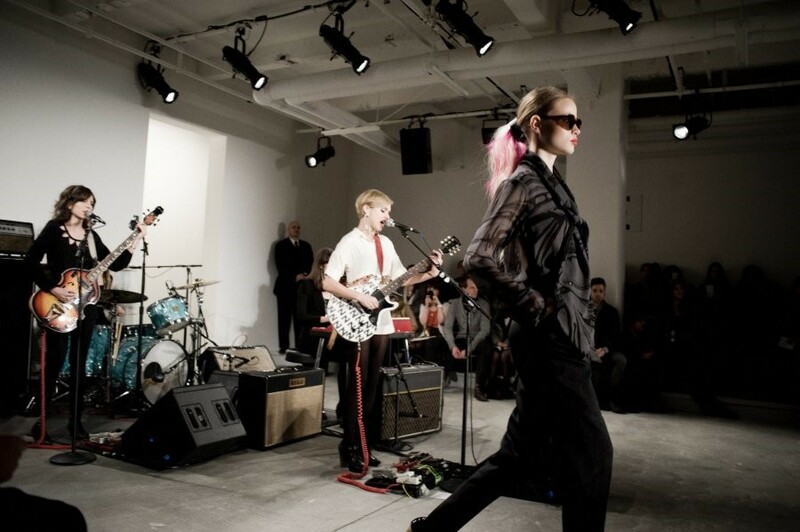 Like the way I feel about music is the way I feel about fashion," enthused Z Berg, the lead singer of The Like. Designers Lisa Mayock and Sophie Buhai spent a long weekend in Woodstock in addition to immersing themselves into the craft movement in the 70s with textiles artists such as Sheila Hicks that subtly influenced the collection. Whilst American handiwork and a 70s spirit was very much present, Mayock and Buhai aren't interested in retrogading too much: "It's Woodstock now. Not to be confused with the original," explains Buhai.